New boiler installation or repair is never at the top of anyone's priority list, until your home is without hot water or heating - especially if you have a family. We understand how disruptive and costly replacing a gas boiler, repairing burst pipes or installing central heating can be. Replacing or repairing gas central heating boilers can take varying lengths of time and depends on the size of your dwelling and individual heating requirements. Everyone relies on their central heating system throughout the winter months, so if your Boiler breaks down and cannot be repaired, installing a new boiler / heating system might be the best option for you. Our gas safe registured engineers work on all makes and models of central heating boilers from Worcester, Vaillant, Glowworm, Ideal and many many more and we aim to offer a same day fix on boiler reepairs and a 2 day lead time on replacements. we work 24 hours a day 7 days a week on all emergency plumbing and heating repairs and we aim to be with you within 2 hours. ? Boiler fitting work is carried out to suit your schedule and our gas-safe / Corgi engineers across Watford, St Albans and Hemel Hempstead will answer any questions you have when we visit. Our Hemel Hempstead & St Albans based installers will arrive on time, show identification and wear official uniform. For safety reasons, you’ll be called when Gas safe registared boiler engineer is on their way, so that you can be ready for their arrival and you will be offered expert advice throughout the whole process. Having strangers in your home can be uncomfortable, so we'll do our best to put you and your family at ease. New boiler installs are completed within 1-2 Days, to full building regulation standards and include local authority certification and registration. Our boiler replacement engineers and plumbers cover a wide area accros Hertfordshire, so if you are looking for a boiler to be installed in Watford, boiler repair in St Albans, New heating installation in Berkhamsted we will be more then happy to hear from you. 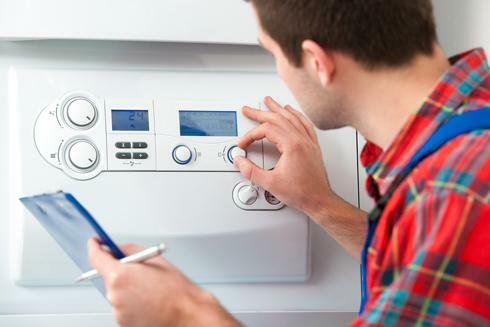 For urgent boiler installation in St Albans, Boiler repair Watford or emergency plumber in Hemel Hempstead & St Albans, call us now on: 0800 0430 373 now or request a no-obligation fast quote.